Powell Butte is a very easy place to enjoy a hike, run, or bike ride, and it's really beautiful. Views of Mt. Hood and Mount St. Helens accompany you the whole way. 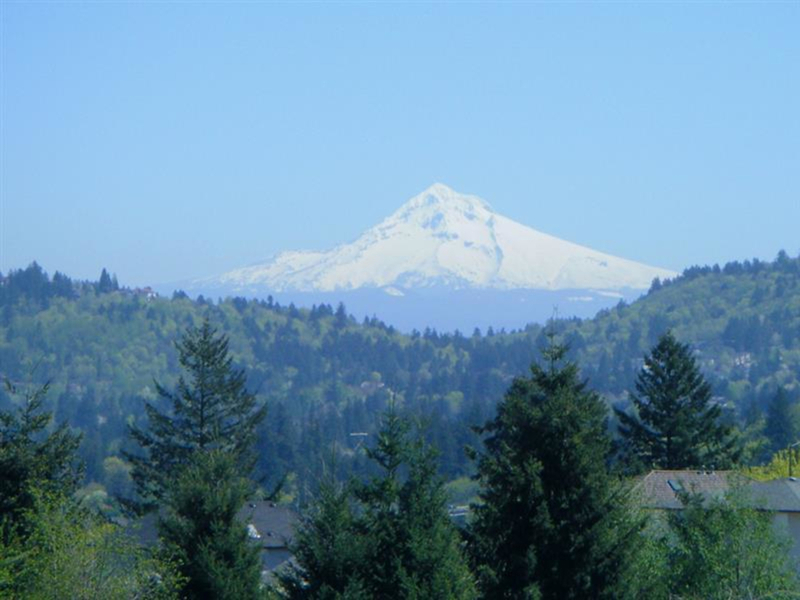 This over 600-acre park in southeastern Portland is located on an extinct volcano and has several miles of really great hiking and mountain biking trails through meadow land and forest. Not only do these trails take you through pristine meadows and forests, but they also offer some nice views of Mt. Hood and Mount St. Helens. 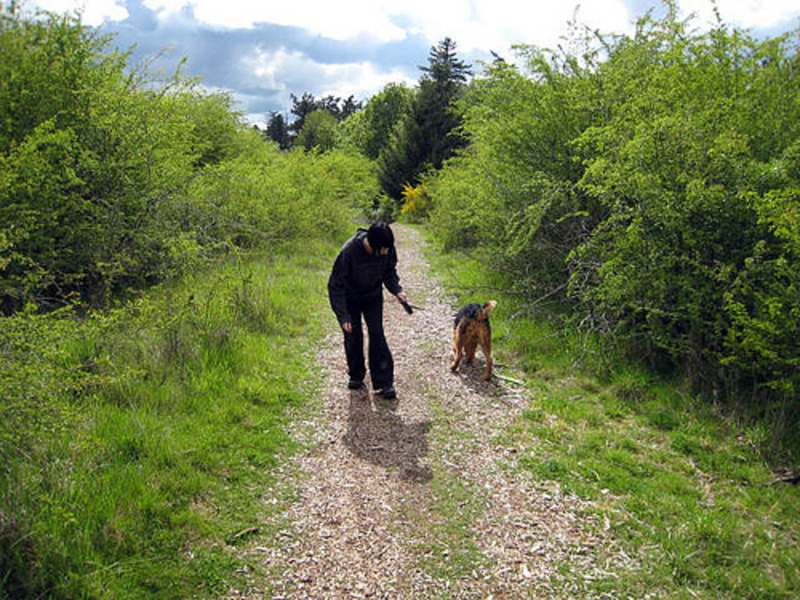 It's the perfect place for an easy day hike with the family or with the dog. With its relatively easy, not-too-technical trails, it's also a great place to introduce yourself to the sport of mountain biking, especially considering how easily accessible it is from the Springwater Corridor, so you can get to your biking destination on your bike! Before the 1900s, the orchard described above was planted after the meadow was cleared. Powell Butte has been around and owned by the City of Portland until 1925 and it carries that history, along with its unique geological history with it to this day. 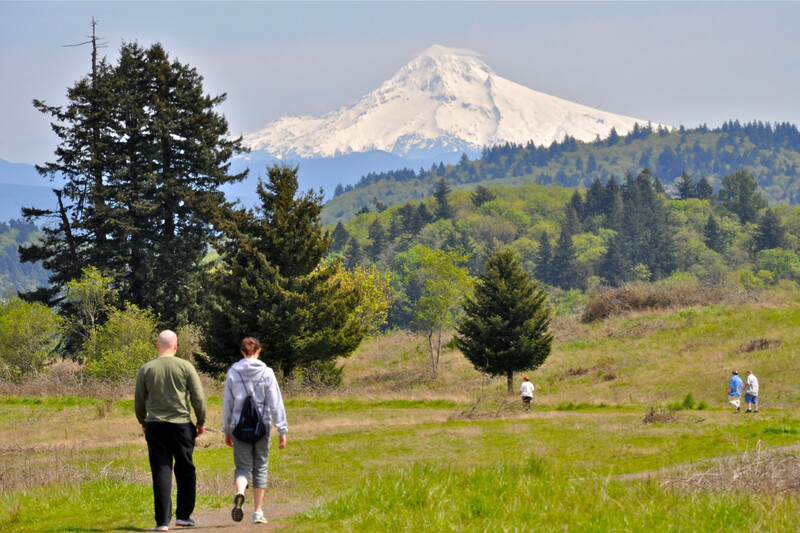 For a 3.3 loop hike or run, start at the Powell Butte Main Trailhead parking lot and start on the unmarked trail from the west end of the parking lot, which ends up being the Goldfinch Trail. 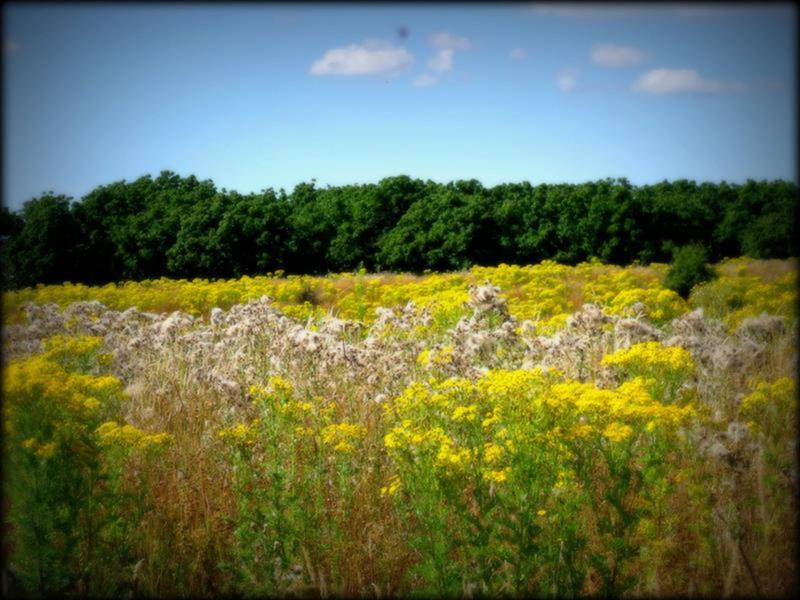 You will come to an intersection with the Old Holgate trail, where you should head west, which takes you into the forest and is then called the Meadowland Trail. The next junction is with the Elderberry Trail, which you will take in a westward direction. You will stay on this trail until you reach a trail junction in a creek valley where you should turn right on the Cedar Grove Trail. You will continue on the Black Deer Trail at a signed junction. Near the lowest part of the park, you should take the Pioneer Orchard Trail uphill to a junction with the Orchard Loop Trail. 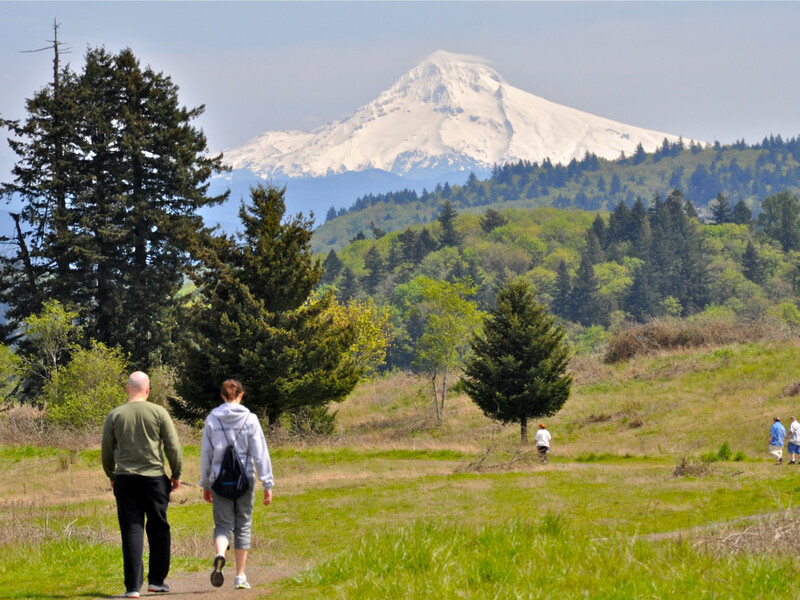 Turn left to enjoy the Powell Butte Summit Orchard, where there are beautiful views of the surrounding mountains. After enjoying the amazing view, head east on the Orchard Loop and you will be on the Wildhorse Trail, which you follow downhill to your car. This hike is short and of fair grade, which makes it possible for anyone, no matter his or her skill level. Because of its proximity to town, it is a great loop for an after work walk or run or a recovery day for more experienced runners or hikers. This area is a perfect option for mountain bikers who hunger for the trail during the week, but have limited time or those who are new to mountain biking. To get there from downtown, take on I-84 east to I-205 south for exit 19 to Division Street and take a left onto SE Division Street. Turn right on SE 136th Ave, then a left onto SE Powell Boulevard, then turn right onto SE 162nd Ave. The hours for the park vary based on the time of year, so be sure you check what the current closing time is if you plan on being there later in the day.